← Professor Gina Wisker announced as keynote for SOTA Postgraduate Conference! In its research data policy and principles, the University of Northampton strongly encourages researchers to produce data management plans (DMPs) for their research projects. DMPonline is the recommended tool for this purpose. 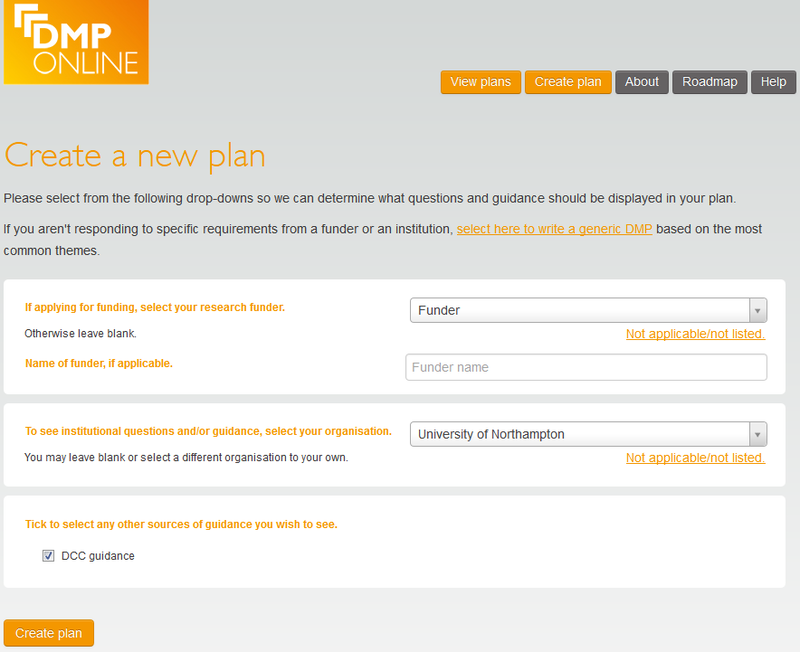 Last year the university’s Research Data Working Group discussed the creation of Northampton-specific guidance for DMPonline users. The tool permits institutions to enter local information about support for data management planning which users will see when they create their DMPs. For Northampton, the local guidance now covers the University’s policies, procedures and responsibilities for research data management, as well as information about related services (such as TUNDRA2 and NECTAR) that can be used in your DMP. Just click on the ‘+’ to see it. For further information about resources and tools for data management planning please see my earlier post or get in touch. Posted on August 21, 2015, in Library and tagged DMPonline, policy, research data, research data management. Bookmark the permalink. 3 Comments.